There are countless small plaques on the North Bank Terrace. 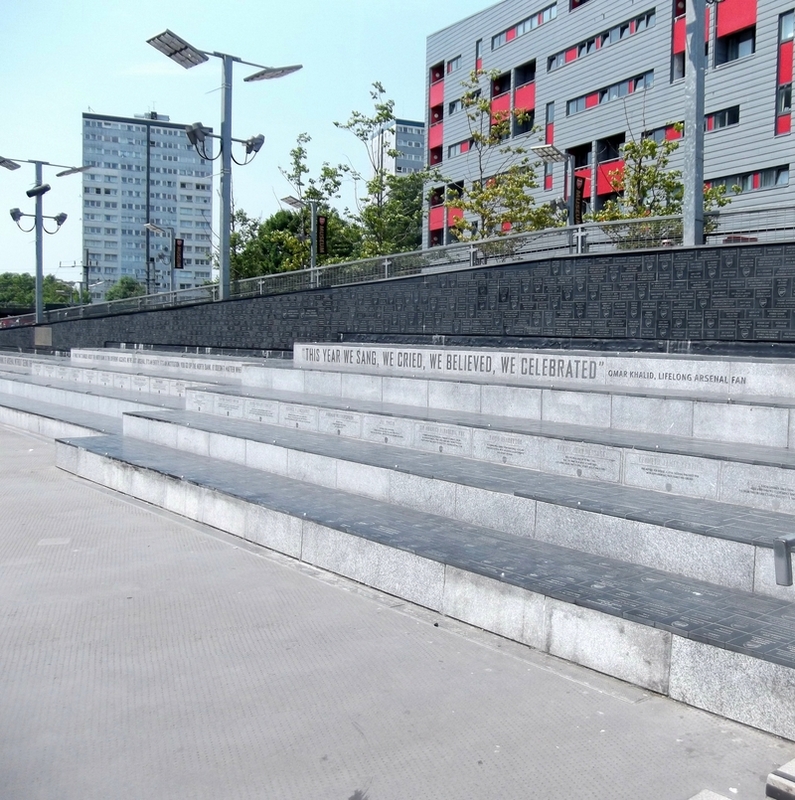 These commemorate fans, (living and deceased) of Arsenal Football Club. The Ken Friar Bridge, over the railway, can be seen on the left of our photo. 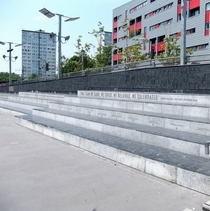 The North Bank Terrace is to the right of, and outside, the photo.